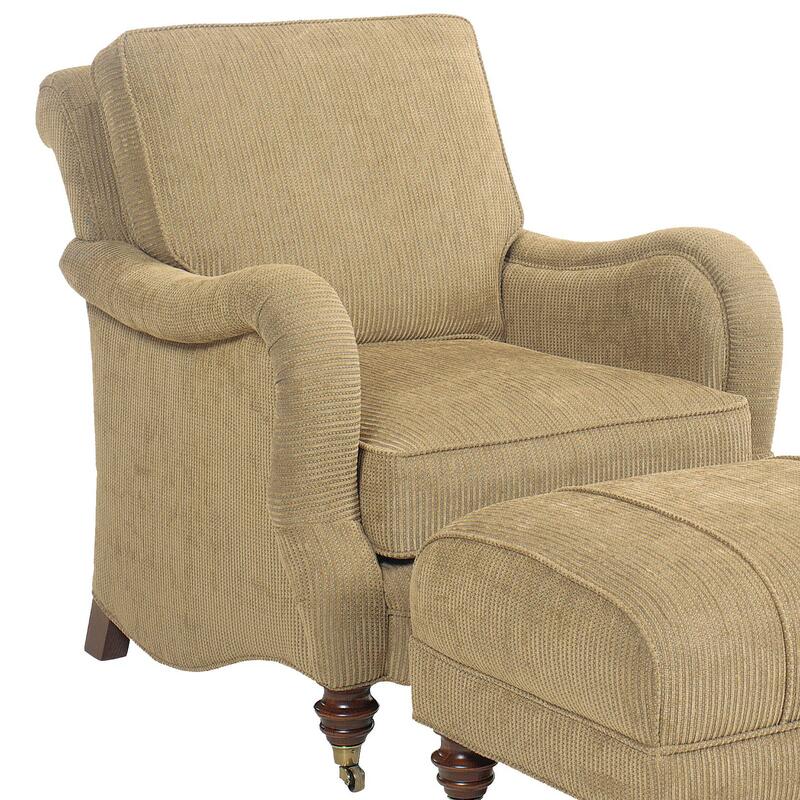 This upholstered chair exudes traditional style with its soft, rolling track arms and turned wood feet. It features a scroll seat back with a plump seat and back cushion for comfortable seating. Front legs include casters to easily move the chair where you please. Lounge in complete comfort with this comfy chair, and add the matching ottoman for a complete set. The 1458 Upholstered Lounge Chair with Turned Feet and Casters by Fairfield at Lindy's Furniture Company in the Hickory, Connelly Springs, Morganton, Lenoir area. Product availability may vary. Contact us for the most current availability on this product. Achieve a classic look in your living room or family room with this traditional chair and ottoman collection. Pieces feature exquisite turned wood legs with casters, for easy mobility from room to room. 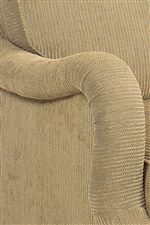 Plump cushioning will seat you comfortably, with elegant rolling track arms, scroll seat back and welt cord trim details. Available in a variety of fabrics and leathers, design a look that accents your decor with the 1458 chair and ottoman. 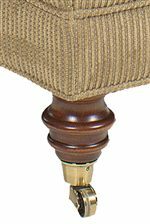 The 1458 collection is a great option if you are looking for Traditional furniture in the Hickory, Connelly Springs, Morganton, Lenoir area.